REDUCED! - PHENOMENAL BUSINESS OPPORTUNITY!! STOP WORKING FOR OTHER PEOPLE AND BE YOUR OWN BOSS. 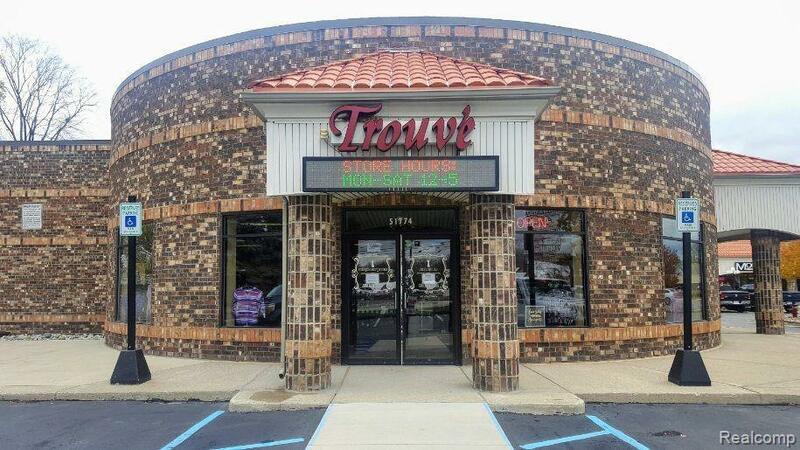 TROUVE UPSCALE HIGH CLASS RETAIL & CONSIGNMENT SHOP. ESTABLISHED, OVER 10 YEARS IN BUSINESS. EXCELLENT VISIBILITY OFF VAN DYKE. BUSINESS ONLY - OVER 2600 SQUARE FEET, ALL FIXTURES INCLUDED. 2 DRESSING ROOMS, BATHROOM & KITCHENETTE. PLENTY OF PARKING. UNLIMITED POTENTIAL. HURRY! IDX provided courtesy of Realcomp II Ltd., via World Showcase Realty and Realcomp, ©2019 Realcomp II Ltd. Shareholders.